Inflammation in the large tendon that attaches your calf to your heel bone, the Achilles tendon, can make your favorite activities, such as running or other exercise, painful and even impossible. You may even notice pain when simply walking or standing, especially when you get up in the morning. Tiny tears in the tissue that makes up the Achilles tendon lead to the diagnosis of tendonitis, and you experience pain, stiffness, and swelling. The tendon may thicken and your body can form bone spurs at the heel to help deal with the inflammation. While rest, physical therapy, and changes in your shoe choice can ease mild Achilles tendonitis, many cases need more intensive interventions. At Michfoot Surgeons in Southfield, Michigan, we offer platelet-rich plasma (PRP) therapy to heal the tears in your tendons. This revolutionary procedure is minimally invasive, and it’s effective in harnessing your body’s own healing. Platelet-rich plasma is derived from your own blood. To make the PRP serum, our team extracts a small sample of blood from your arm in a conventional blood draw and then places it into a centrifuge. This spins the blood down to concentrate the platelets. Blood is primarily made up of liquid plasma, but it also contains red blood cells, white blood cells and platelets. Platelets serve the purpose of clotting blood, but they also contain essential growth factors that help heal injuries. When the blood goes through the process of centrifugation, these growth factors are concentrated and the resulting PRP has extra healing properties. 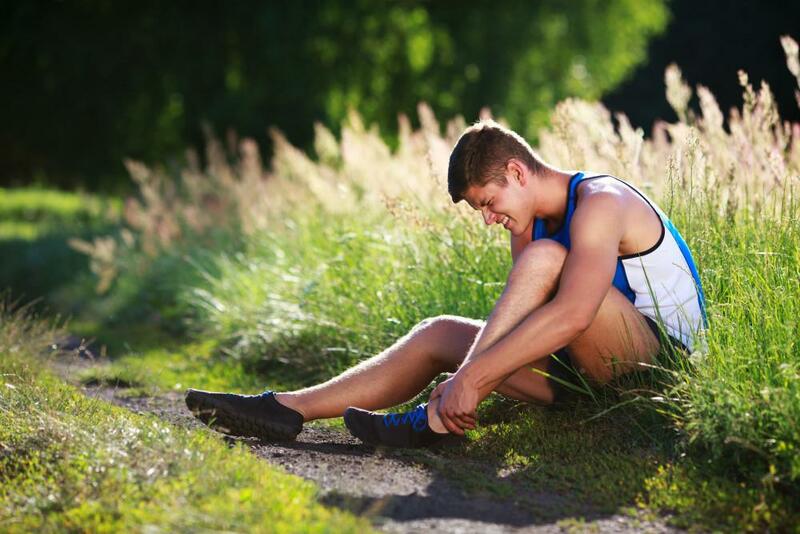 To address the pain of Achilles tendonitis, we inject the PRP along with a local anesthetic into specific areas at the back of the heel that are inflamed, swollen, and painful. The PRP helps your body to heal itself using the concentration of growth factors. At first, right after the injection, you may feel an aggravation of pain. This can last a week or two, but after several weeks, you’ll notice a reduction in both swelling and pain. PRP therapy uses your own body’s healing properties to resolve Achilles tendonitis. You don’t have to worry about rejection or side effects. Plus, you aren’t relying on pain-relieving medications with all of their possible complications. Cortisone injections, which are sometimes offered for tendonitis in other areas, are dangerous at the Achilles tendon because they increase your risk of a tendon rupture. PRP offers an alternative. PRP doesn’t just mask the pain, either. It promotes healing so your tendon’s function is restored. PRP can also help you avoid surgery to resolve Achilles tendonitis. Healing from PRP injections is much quicker and less traumatic than recovery from surgery. And in many cases, surgery for Achilles tendonitis is ineffective in completely restoring the tendon’s function and strength. If your Achilles tendonitis interferes with your walking, running, jumping, or other activities, you need resolution. Without addressing the condition, it’s likely to worsen and cause referred pain elsewhere. Explore your options for therapy, including PRP, with our expert team of podiatrists and foot surgeons. Call the office today or book an appointment using this website. Custom orthotics not only help with foot pain, but they can also prevent injury and improve performance, among other things. Read on to learn how you can benefit from custom orthotics.